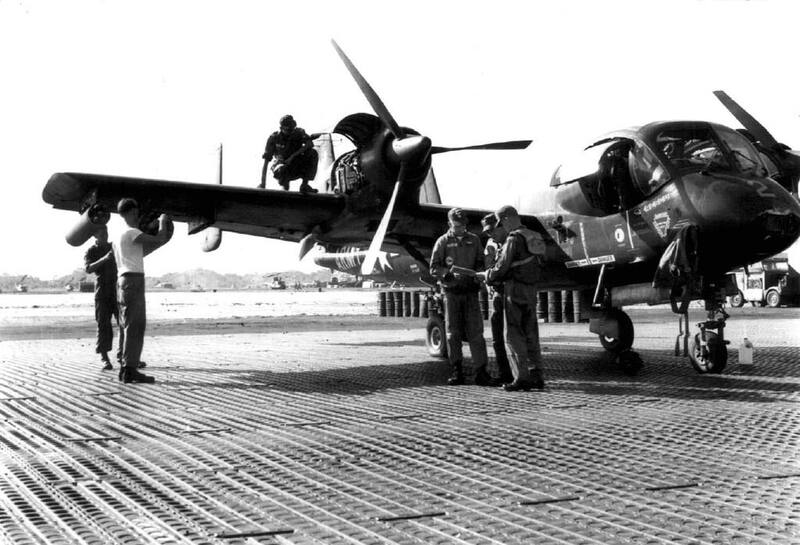 Retired Lt. Col. Alex Paruti had hundreds of flying hours in the Grumman OV-1 Mohawk when he joined the 225th Aviation Company “Phantom Hawks” at Phu Hiep, near the new U.S. airfield at Tuy Hoa, South Vietnam. “I was aboard the first C-141A Starlifter that landed at Tuy Hoa on May 1, 1967. We started receiving our Mohawks that month and lost our first aircraft two months later in July. By then, the Army and the Air Force had resolved their squabbles over roles and missions and agreed (on Jan. 1, 1967) that “the Air Force would never again complain about armed helicopters,” as Paruti put it, “but the Army would strip the weapons off the Mohawks.” The A model Mohawks had guns. On the outer hardpoints they could carry a .50 cal. with the ammunition inside under each wing. They could carry canisters that held seven 2.75 in. folding-fin aircraft rockets (FFARs). “Officially,” said Paruti, “we didn’t arm the Mohawks after the agreement was reached. 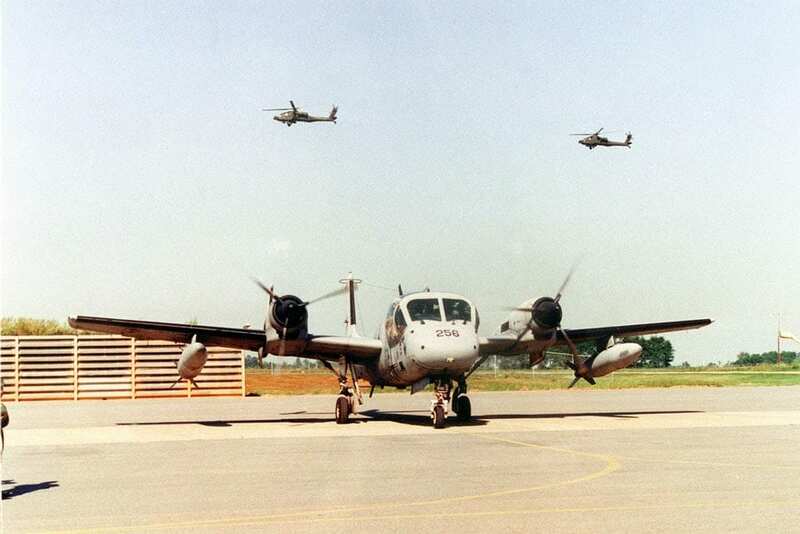 Paruti said the Mohawk’s job in Vietnam could be summarized by two kinds of surveillance missions – radar, using SLAR (OV-10B, D) and infrared, using an IR sensor (OV-10C). “The OV-10B’s SLAR looked out of both sides of the aircraft up to a distance of 45 kilometers and was really good at picking up moving targets. It could catch anything that moved at a speed greater than three kilometers per hour. We got very good at picking up North Vietnamese vehicles on the Ho Chi Minh Trail.” The Mohawk typically flew SLAR missions at a height of 7,000 feet (2,160 meters). “C models had infrared,” Paruti said, referring to the UAS-4 IR mapping sensor mounted in the central fuselage. “We flew IR missions at much lower altitudes. We had to be at 1,500 feet [464 meters] or lower. We got as close to the ground as circumstance would permit and flew searches. At low altitude, the IR in the belly of the aircraft could cover a swath about 500 meters wide. “Sometimes we’d go up to Laos and fly on the Ho Chi Minh Trail. We worked with Air Force GCI [ground control intercept] sites until we reached the mission area and then we’d do our own thing. 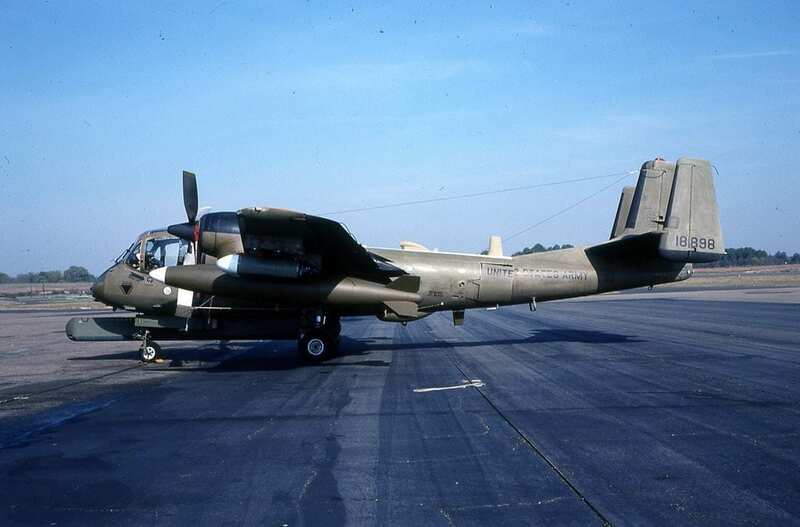 The OV-1D version was dual-role capable, being convertible to either SLAR or IR monitoring missions. It was the final model of an aircraft that seemed almost to have been devised for the austere airfields and heat and humidity of South Vietnam. To stay close to troops, Mohawks frequently went in an out of airfields where only helicopters and small liaison aircraft were able to operate. Paruti knew about the Mohawk before he became an Army aviator. The OV-1 made its debut in Europe during the Berlin Crisis of 1961 and, as noted in Part 1, served in Vietnam from late 1962. Paruti pinned on his wings in December 1964. His first assignment was in West Germany in 1965, using the Mohawk to pick up signals from Soviet missile sites. Paruti pulled two Mohawk tours in Vietnam, from May 1967 to May 1968 and from September 1969 to September 1970. When the Vietnam War ended in 1973, Mohawk losses were: one shot down by a MiG, one destroyed by mortar fire, 27 lost to ground fire and 36 destroyed in operational accidents. Production of a total of 380 Mohawks ended in December 1970. Although no meaningful export customers for the Mohawk emerged, the aircraft kept going in the Army for another quarter century. 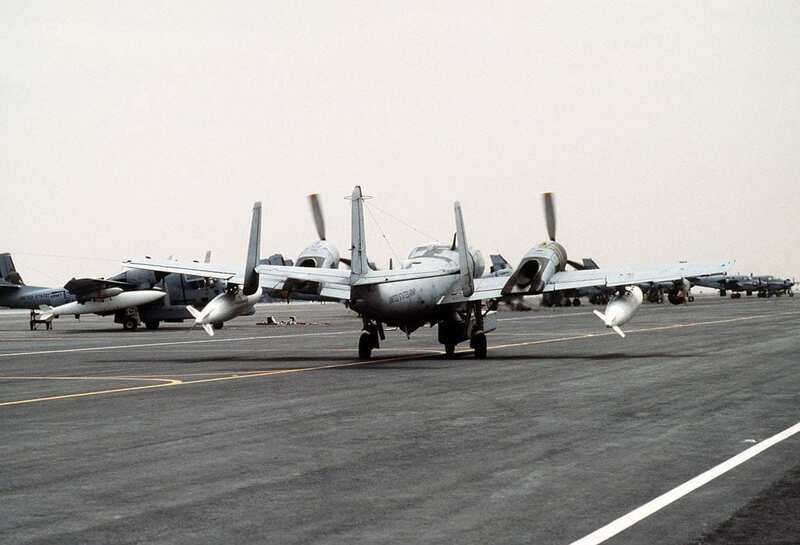 During the post-Vietnam era, 36 RV-1Ds were converted from earlier airframes under the Quick Look II program for ELINT duties, using the AN/ALQ-33 tactical ELINT system. Mohawks operated from Honduras to monitor conflict in El Salvador in 1987. The Army was beginning to retire them when they participated in the first Persian Gulf War, Operation Desert Storm, in 1991. The Mohawk left inventory in 1996.